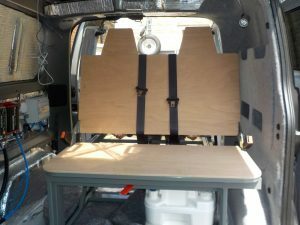 NV200: Making bed boards – Do your dream! So 9mm ply, cut and shaped around the bed frame, with corners rounded and smoothed as needed. We made the seat back with head rests that rest perfectly on an angle across the back/back as requested so supported if we stick our knee in it. 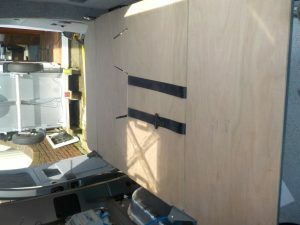 A nice gap all around ready for the upholstery to be completed. The belt fit around perfectly. 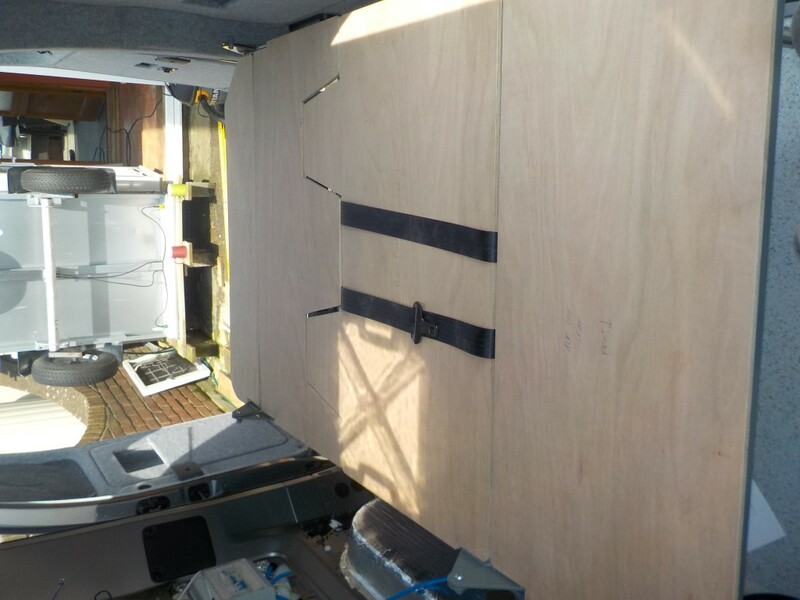 The rearmost seat cushion will be slightly different and not bolted to the frame, but will be “snug push fit” which will allow us to remove and gain access to the underneath storage area from within the van. Apart from that, it matches the frame with 5mm overhand and cutouts for the hinges, and with all “sharp edges” sanded to minimise wear on the upholstery.